Disabled people dreaming of starting their own business, and those who have already taken the plunge, are invited to a free event presented by NatWest, and national disability charities, Scope and Livability in London next month (13 February). Those attending the Business Academy event will get the chance to get face-to-face advice from experts across a wide range of topics, as well as the opportunity to network with like-minded entrepreneurs. There will also be advice and information about what additional support is available to people who are self-employed and disabled, and a choice of seminars where inspiring speakers and business experts will go into more depth on their particular areas of specialism. 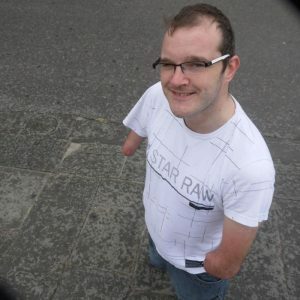 Paul Carter, the founder of Little Man Media will be speaking to people about his experiences of being self-employed and disabled in the creative industries. Paul is an experienced film-maker, producer, journalist and presenter and has experience of working with all major UK broadcasters. He was also a producer on the BAFTA-winning London 2012 Paralympic Games coverage on Channel 4. Paul said: “It can be very tough out there running your own business, especially in the current economic climate. And when you have additional challenges posed by an impairment, those challenges can be compounded. But the benefits are huge, and being your own boss can give a level of flexibility that can’t necessarily be found elsewhere in regular full-time employment. Vittoria Morgan, National Employment Manager at the disability charity Scope said: “Disabled people face huge challenges when it comes to finding work. “There’s a massive shortage of employers who will offer roles with the little bit of extra flexibility they might need. “The statistics show that 24 per cent of all disabled people are self-employed, and that 45 per cent chose to become self-employed because they could not find alternative employment. “We hope that this event will inspire other disabled people to overcome the barriers to work they face, and perhaps become their own ideal employer. Alice Morris, Head of the Livability Enterprise Agency, said: “Many disabled people have the talent and ideas needed to start a successful business but they need to be given the opportunity and the tailored support to turn this into reality. It is also crucial that entrepreneurs who have already become self-employed are supported in the early planning stages to ensure the longevity of their business. Be the first to comment on "London event will support disabled entrepreneurs"